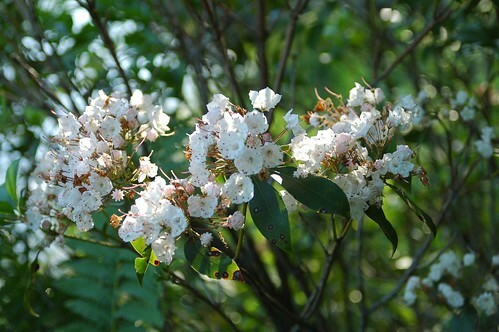 mountain laurel, originally uploaded by jahansell. They are in full bloom right now at Miles Wildlife Sanctuary and all around the state! As a further point of interest, deer generally don't eat them. I love the form of the flower; an interesting shape. I've heard of it before but never knew it was Connecticut's state flower.